The distance between Huế, Vietnam’s pre-communist capital, and Savannakhet, a sleepy Lao city by the Mekong River, is over 400 kilometers of thick tropical forest, sparsely inhabited by dark-skinned mountain tribes. The border checkpoint, somewhere in between, lies truly in the middle of nowhere. Four hours got us this far, and it would be longer until Savannakhet: five hours by bus, and unimaginably longer if the bus, say, left without us. Which, of course, it just did. I looked out the window and saw two things: first, my girlfriend, looking incredulous by the empty parking space, mouth open and arms outstretched; second, our big grey bus, leisurely rolling away from her. So now we found ourselves in this high-speed chase—me, my girlfriend and the Dutchman whose name I never learned—on three separate bikes, racing down this dusty mountain road. A canvas-covered shipment truck drove ahead of us, and when we overtook it, I glimpsed the edge of the cliff a few metres away. 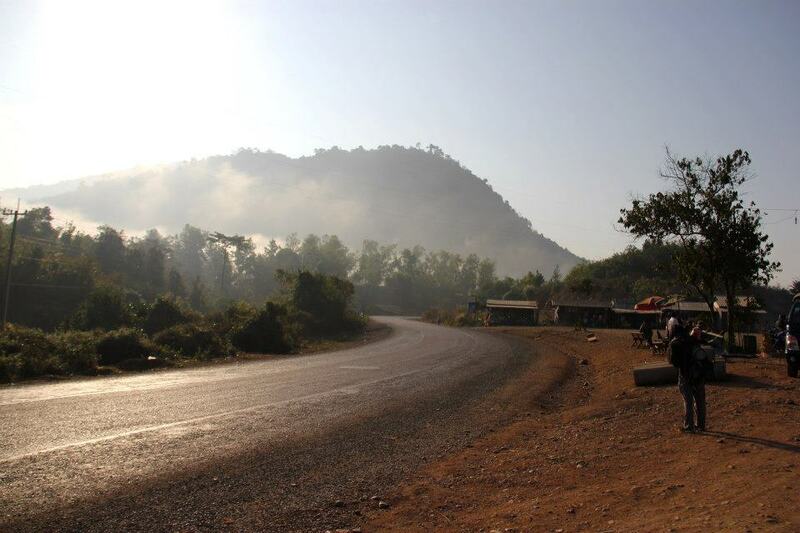 Beyond that, the whole Lao mountain range spread out into the horizon; everything was high-noon bright, but hazy, too, because of the mountain fog. The wind blew my hair hard but I turned into it, squinting ahead, honing into our target. In that moment, I felt exactly like James Bond. Finally, long after many of my esteemed peers, I’ve been published in the Globe and Mail.